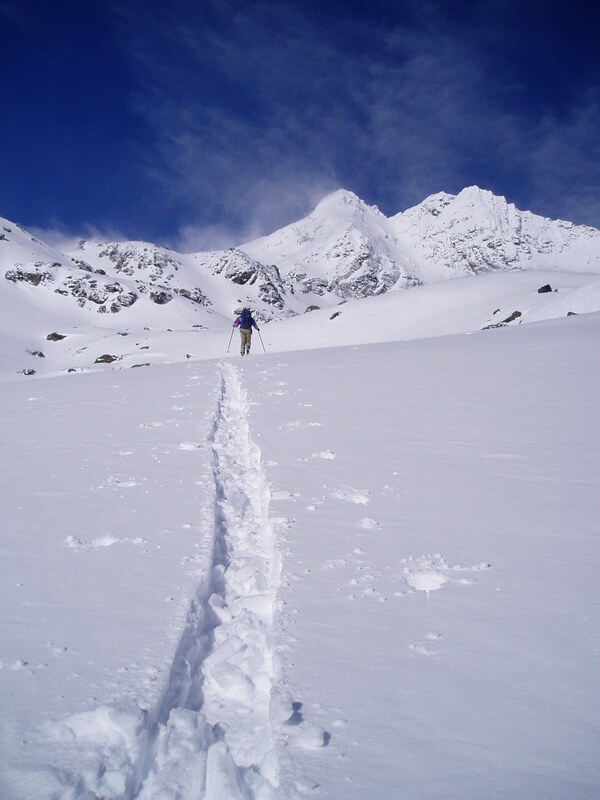 Join me for a fantastic Ski touring trip in the NZ Southern Alps of New Zealand. During September, October and depending on conditions even into November, Alpinism and Ski offer week long ski touring adventures into the high alpine world of Mt Cook or Westland National Parks. With the bitterly cold months of mid winter gone, enjoy longer spring days, warm sun and brilliant ‘corn’ snow on sunny and powder snow in shady aspects. 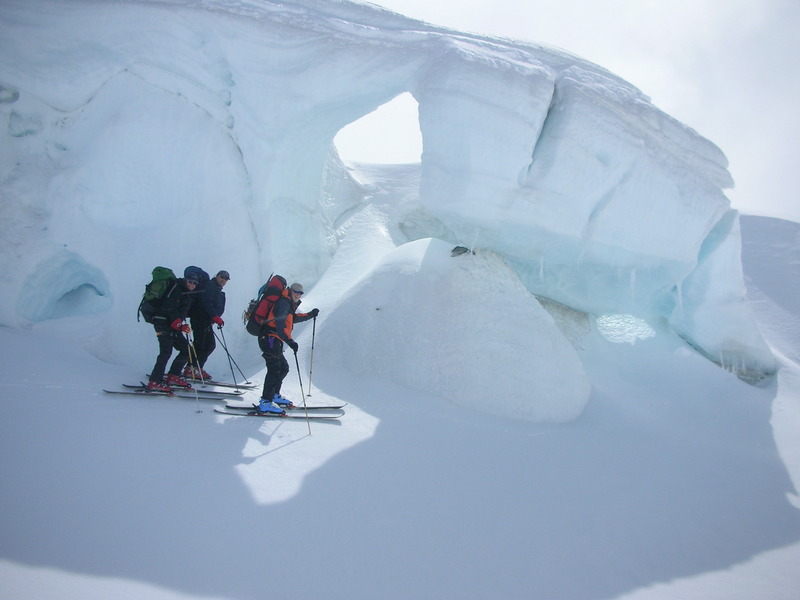 Experience the wilderness and grandeur of the Southern Alps with a week long ski touring trip into the high alpine neves. 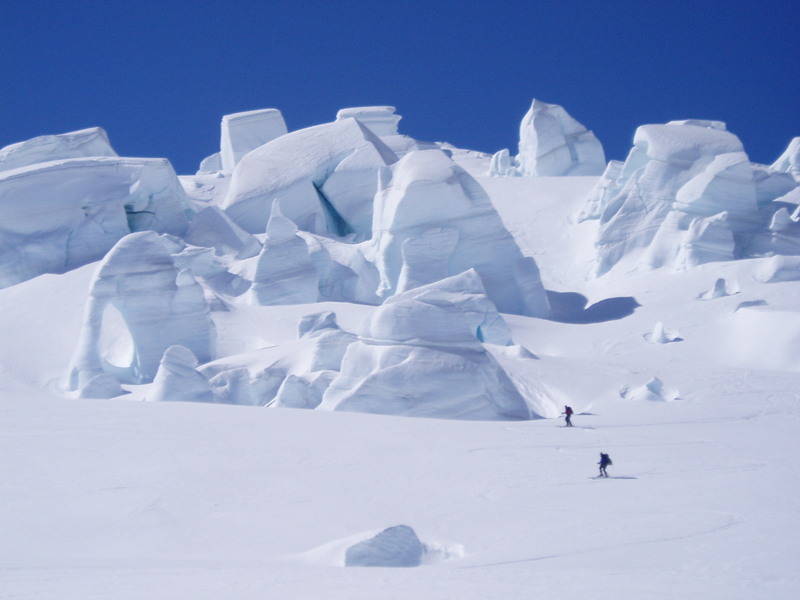 If you are a strong intermediate skier, get around all the runs on your favorite ski field, got yourself reasonably fit over the winter and have a sense of adventure plus a desire for winter wilderness, then this is the sport for you. ‘Fat’ touring skis have made a huge difference for people going backcountry and help with balance and skiing ability in ‘off piste’ conditions. Price Includes: Guide fee for 6/7 days, hut fees, transport Wanaka-Mt Cook village or Fox glacier return, accommodation during trip days, high quality food, party technical equipment e.g. rope, stove, fuel etc.